Well, someone in my house is feeling better! The magic of medicine can lift a 14 year old from the depths of despair, sick with strep only to be inspired by a photo of strawberry shortcake on the back of a box of bisquick. Though I pleaded with her to use Alice Waters Cream Biscuit recipe from the Art of Simple Food (my favorite) she refused. She was completely and utterly swayed by the power of advertising. 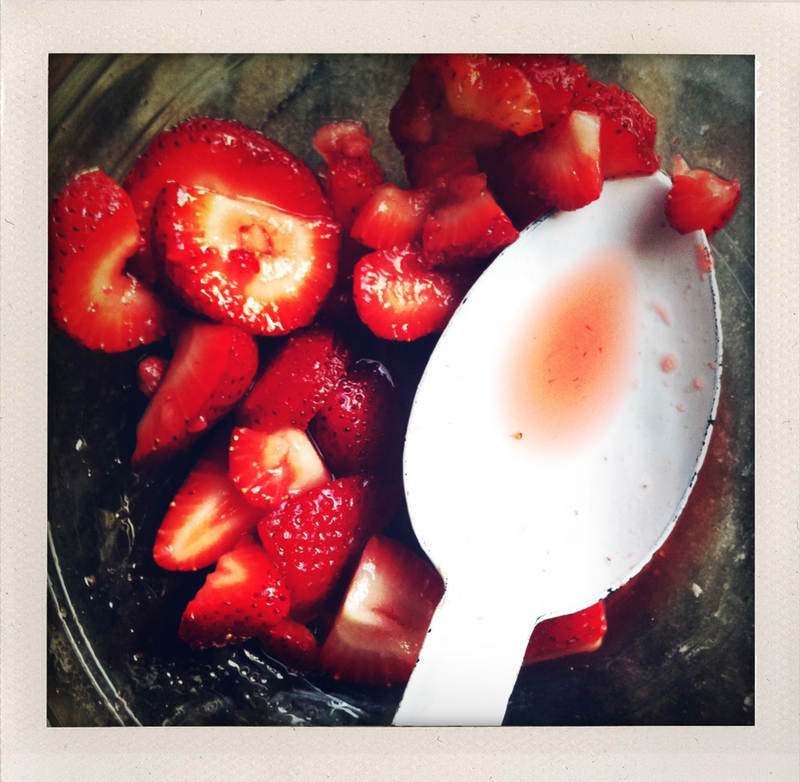 So it is, that she stands in the kitchen cutting up strawberries and humming quietly to herself. Tomorrow is another day and I can fight the cream biscuit battle then. For a more grown up version of a shortcake biscuit, see Alice Waters recipie below. Place the biscuits on a baking sheet lined with parchement paper and lightly brush the tops with the reserved tablespoon of cream. Bake for 17 minutes or until cooked through and golden.